One of our top picks in Lopud.Featuring an outdoor pool, garden, and terrace, Villa Lopud In Dubrovnik is located in Dubrovnik. It offers a balcony overlooking the sea. Stradun, the Walls of Dubrovnik and Onofrio's Fountains are 12 mi away. The villa includes a seating area with a flat-screen TV and sofas. 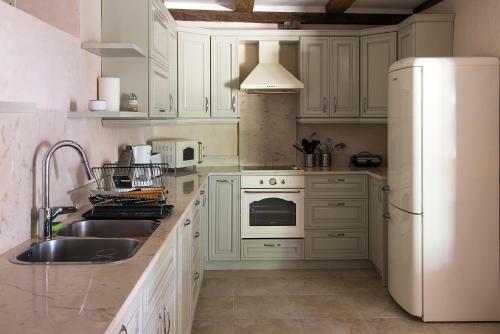 The kitchen is equipped with a stove, microwave and oven. The bathrooms come with a bath or shower. Free WiFi is available throughout. 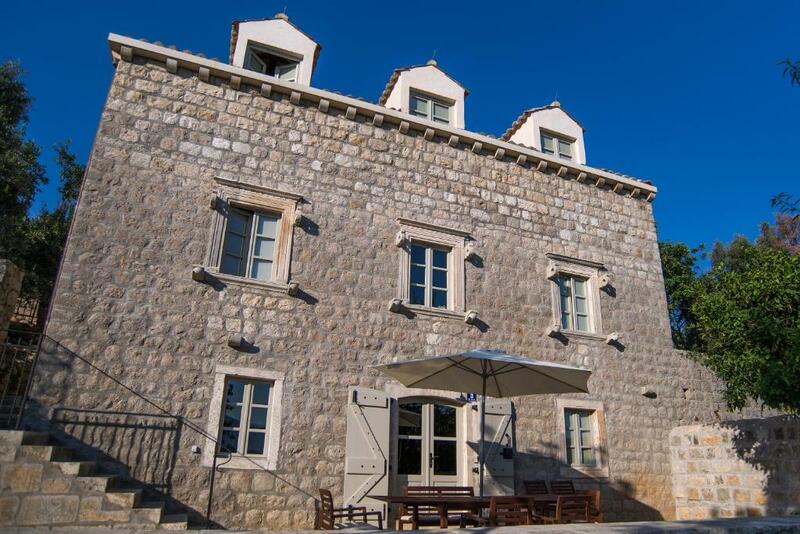 Villa Lopud In Dubrovnik is 9.3 mi from the port. Dubrovnik Airport is 14 mi away. 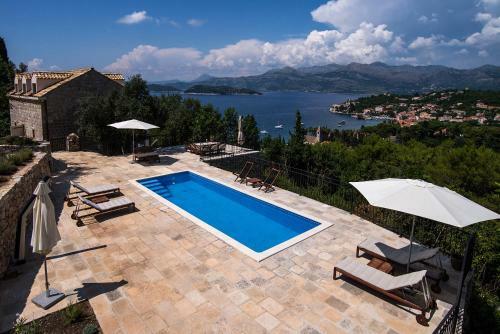 When would you like to stay at Villa Lopud In Dubrovnik? Featuring an outdoor pool, garden, and terrace, the villa offers a balcony overlooking the sea. It has a seating area with a flat-screen TV and sofas. 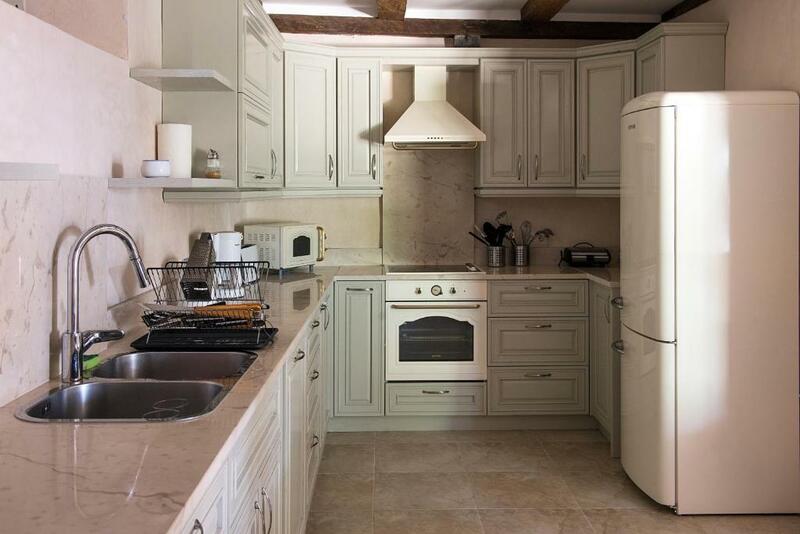 The kitchen is equipped with a stove, microwave and oven. The bathrooms come with a bath or shower. Free WiFi is available throughout. 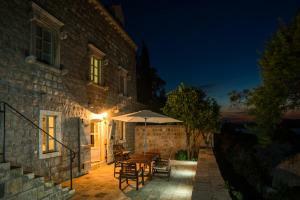 6 bedroom villa with private pool, 24-hour caretaker, located on Lopud Island, Dubrovnik, Sleeps 12 (+ 2 extra beds, 2 baby cots), 5.5 bathrooms, over 220 sqm of indoor space, three floors, open concept kitchen with modern amenities and dining room, two living rooms, 300 sqm of outdoor terrace, BBQ, separate cottage for two, washer/dryer service, air-conditioning and heat, wifi internet, satellite TV, towels and linen, deliveries service, cleaning service, car-free island, sand beaches, rich cultural heritage, nature, exclusive location. Great for organizing receptions and group events. 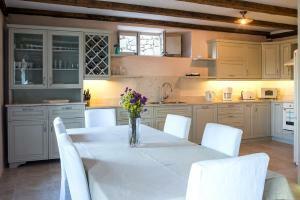 Private chef and massage service can be arranged separately. 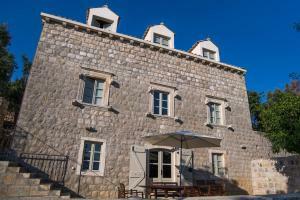 The house is located on a hill overlooking the bay and the town of Lopud. 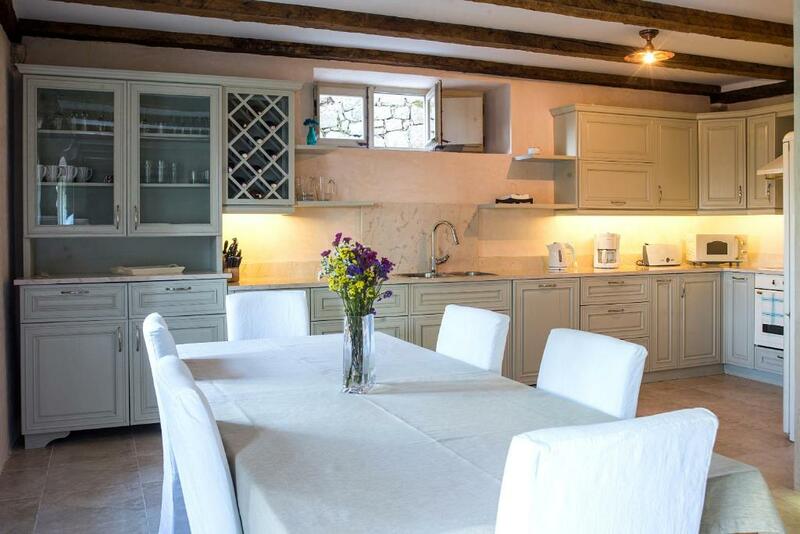 As there are no other houses in the vicinity, a key attraction of this property is its privacy and amazing views. The beach is approximately 200m from the villa, or a ten minute walk. Guests can pre-order groceries and supplies which will be delivered to the villa prior to arrival. 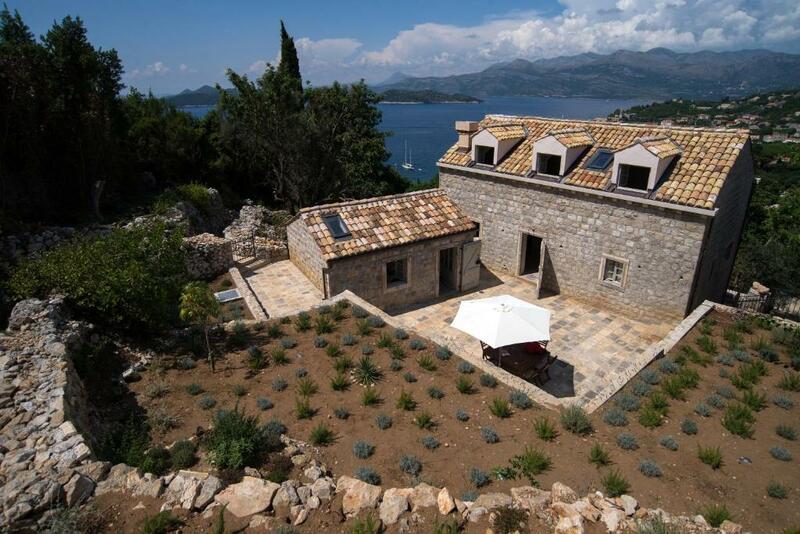 We are an expat couple with roots in Croatia that have made our dream of owning a stone villa by the Adriatic sea a reality. Lopud Island is the most beautiful of the Elaphiti chain of islands that stretch just north-west of Dubrovnik town. This small island, with a population of 110, is just 4.63 km2, with 11.5 km of coast line, of which 1.2 km are sand beaches. 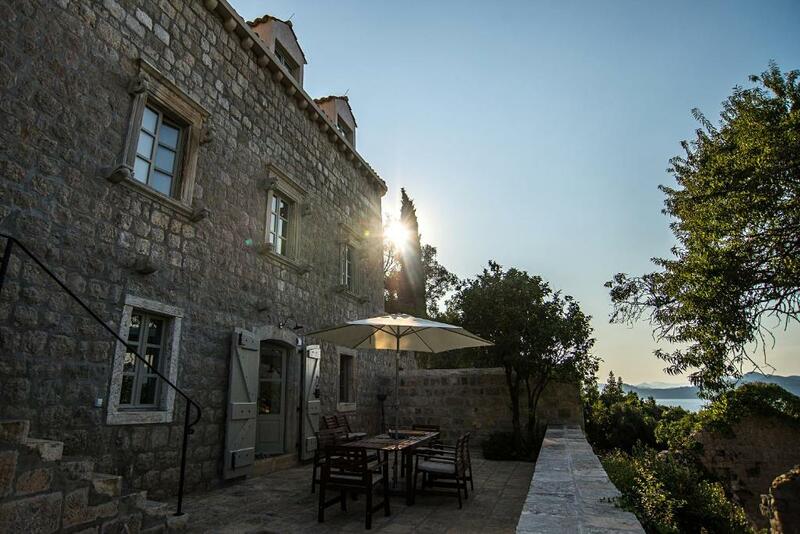 Once the preferred getaway for Dubrovnik’s medieval ruling class, Lopud offers gorgeous natural beauty, rich cultural and architectural heritage, and is ideal for a relaxing, stress-free vacation. Lopud is car free and is safe for kids and great for families. Sand Beach and town with restaurants, bars and cafes, post-office, shops, bank machine, medical clinic, wellness centre are only 200m away. Dozens of sites to see - churches, monasteries, old fort, arboretum, and arts pavilion. 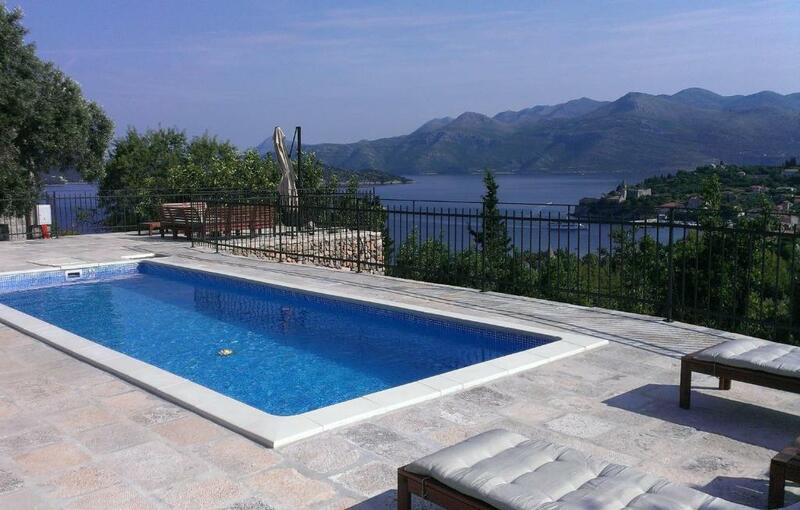 Excursions to neighbouring islands Sipan and Kolocep, as well as Dubrovnik, Mostar (B&H) and Montenegro available. Famous Sunj beach is a 20 minute walk or a 5 minute golf car taxi ride. Leisure and sport activities – boat rental, fishing, kayaking, sailing, sea-doing, tennis, diving, volley ball, water polo, football, hiking etc. House Rules Villa Lopud In Dubrovnik takes special requests – add in the next step! We need at least 5 reviews before we can calculate a review score. 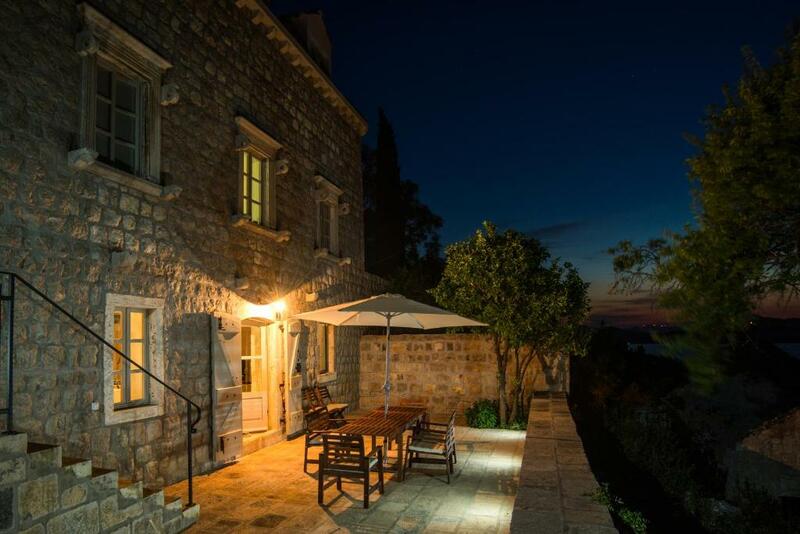 If you book and review your stay, you can help Villa Lopud In Dubrovnik meet this goal. One potential limitation (not for me) was the steep hike to the house from the village. Everything. Location is outstanding. Facilities great. Caretaker on site is extremely helpful.